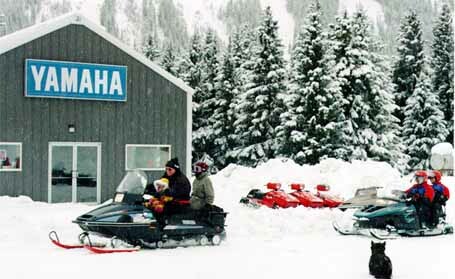 Cooke City Motor Sports does snowmobile rentals, sales and service, located just outside the N. E. corner of Yellowstone National Park in the heart of the Beartooth/Absaroka Mountains. Snowmobile on groomed trails or climb some of Montana's highest peaks including top of the world; elevation 7600 feet - 1100 feet. Excellent snowmobiling conditions, November to April. Send for free trail guide: Box 1182 US Highway 212, Cooke City, Montana, 59020.